Aside from the recently launched Blackview Ultra Plus, there's another iPhone inspired handset called the CKK Duke 2. This time it's a huge 6 inch phablet that touts decent specs and affordable price. 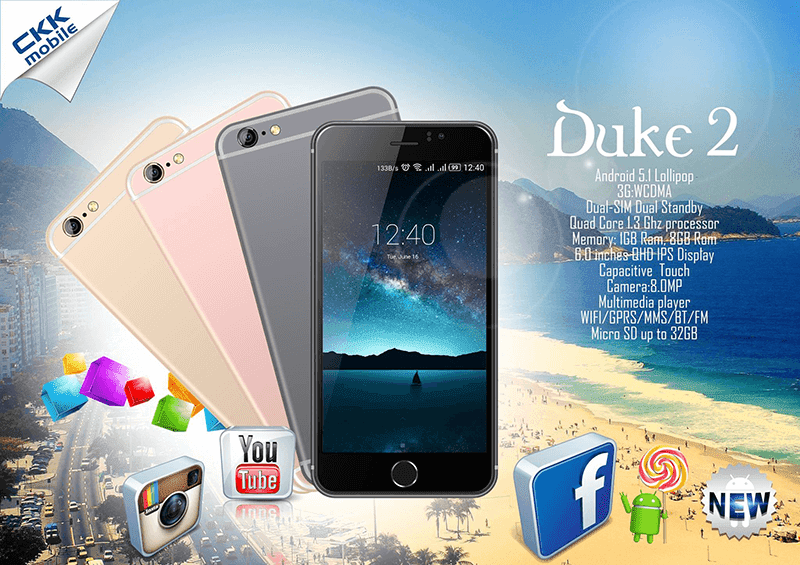 The Duke 2 features a 6 inch qHD screen, 1.3 GHz quad core processor, 1 GB RAM and 8 GB expandable ROM. It also has an 8 MP rear camera, 3G connectivity and runs on Android 5.1 Lollipop OS. However, there are some important part of the specs that's missing in the info we have like the exact type of selfie camera and and battery capacity. The package also includes several freebies like a tempered glass, jelly case, earphones, sticker holder and a ballpen. It retails at just 3,399 Pesos which is also available at Lazada Philippines.